Have you ever dreamed of travelling to a futuristic dystopian world? 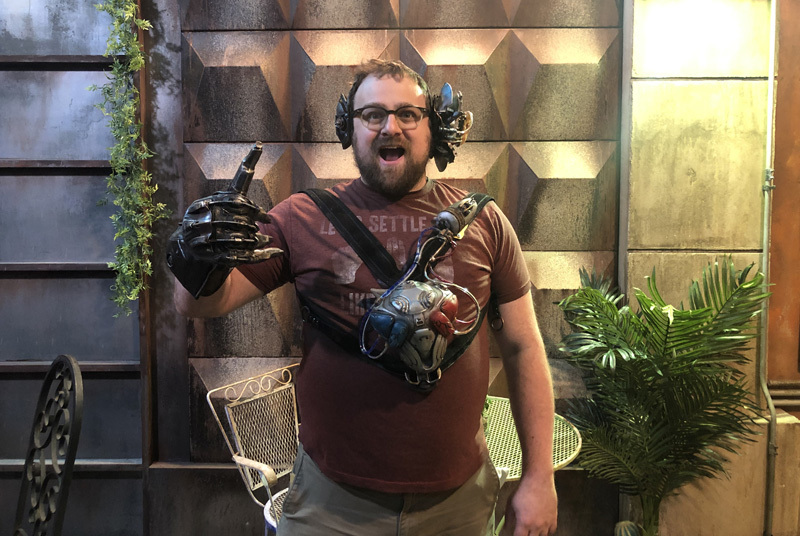 Passport to Iron City is your ticket, transporting you to the universe of Alita: Battle Angel from visionary filmmakers James Cameron and Robert Rodriguez in real life. ComingSoon.net got to attend a preview event last night at the Brooklyn, New York location, and you can check out what we saw and experienced in the gallery below! Passport to Iron City will open in Los Angeles starting January 23; New York on January 26 and Austin on January 29. The project comes from creative production company iam8bit and media and entertainment firm The Seelig Group. Tickets can be purchased now at AlitaExperience.com. 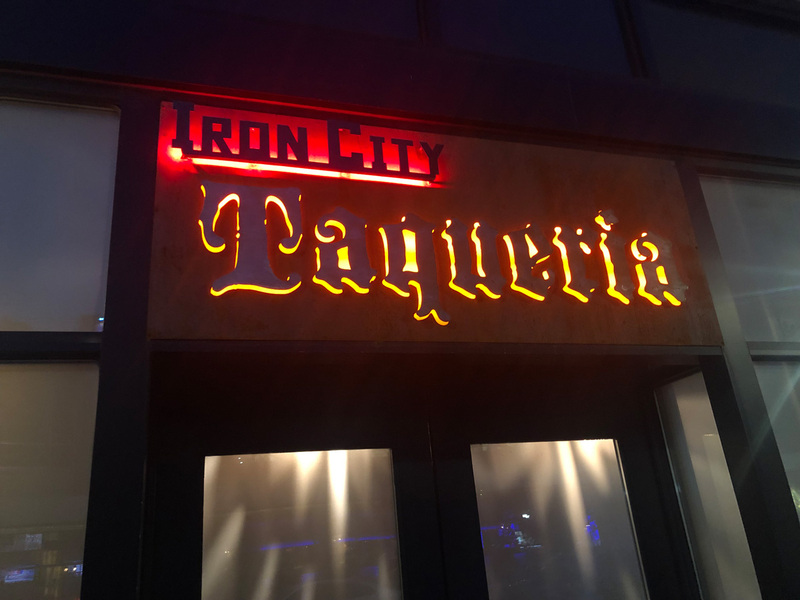 Passport to Iron City is a first-of-its-kind experience, combining custom technology built for the retro-future Alita aesthetic and highly-detailed sets which have been recreated down to the last detail by the film’s award-winning production designers. The result: a life-sized, fully immersive board game where YOU and your team are the game pieces. This 12,000 square foot futuristic interactive playground will transport you to another world, unlike anything you’ve ever experienced! Throughout the experience teams will have to complete challenges and solve puzzles, which were designed by Erich Meyr, former senior game designer at Insomniac Games and current design director at Squanch Games. Visionary filmmakers James Cameron (Avatar) and Robert Rodriguez (Sin City) create a groundbreaking new heroine in Alita: Battle Angel, an action-packed story of hope, love and empowerment. Set several centuries in the future, the abandoned Alita (Rosa Salazar) is found in the scrapyard of Iron City by Ido (Christoph Waltz), a compassionate cyber-doctor who takes the unconscious cyborg Alita to his clinic. When Alita awakens she has no memory of who she is, nor does she have any recognition of the world she finds herself in. Alita: Battle Angel also stars Jennifer Connelly (Top Gun: Maverick), Academy Award winner Mahershala Ali (Moonlight, Green Book), Ed Skrein (Deadpool), and Jackie Earle Haley (Watchmen). Directed by Robert Rodriguez, the film features a screenplay written by James Cameron and Laeta Kalogridis and Rodriguez. Based on the graphic novel series Gunnm by Yukito Kishiro, Alita: Battle Angel is produced by Cameron and Jon Landau. The film hits theaters on February 14, 2019.